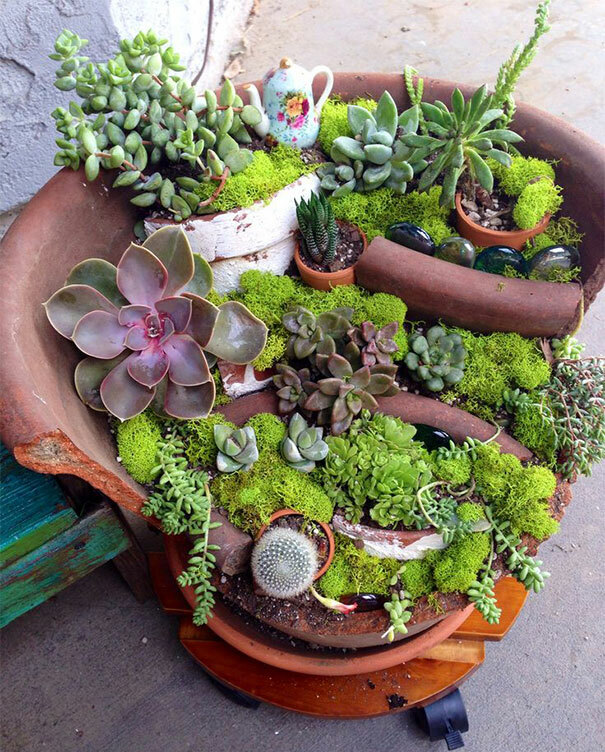 Gardening is becoming more and more interesting every day. 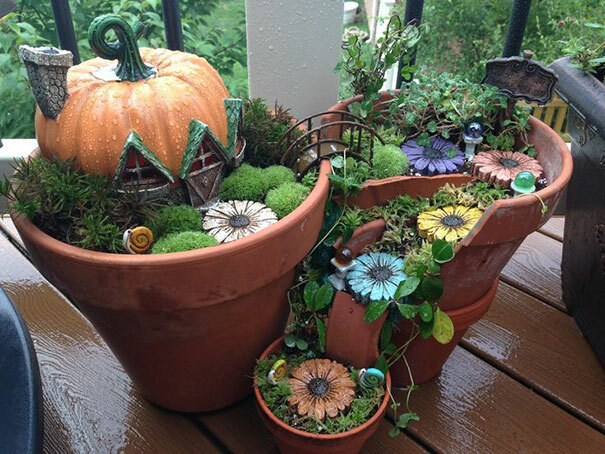 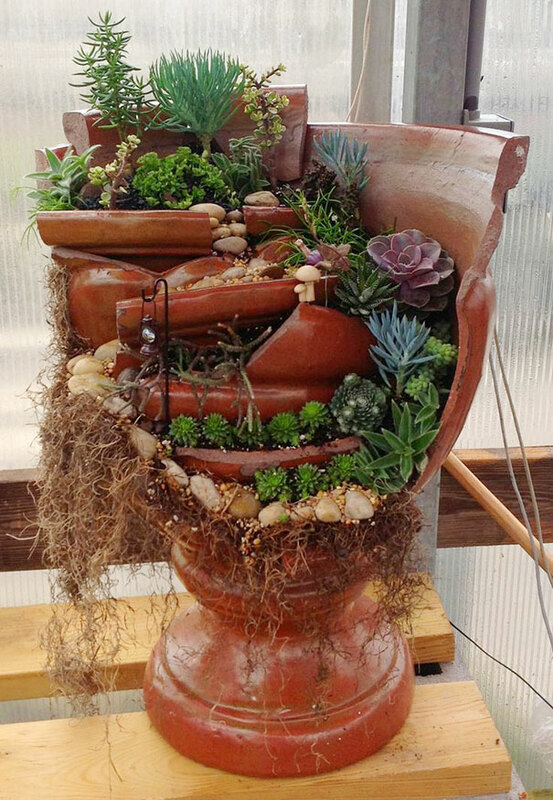 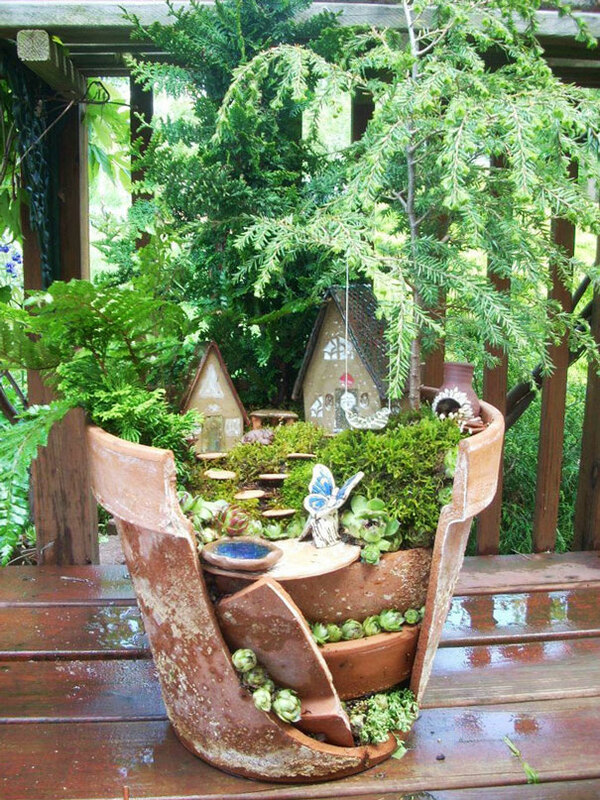 A new design motif that had caught attention quickly has DIY fairy gardens in the center of it. 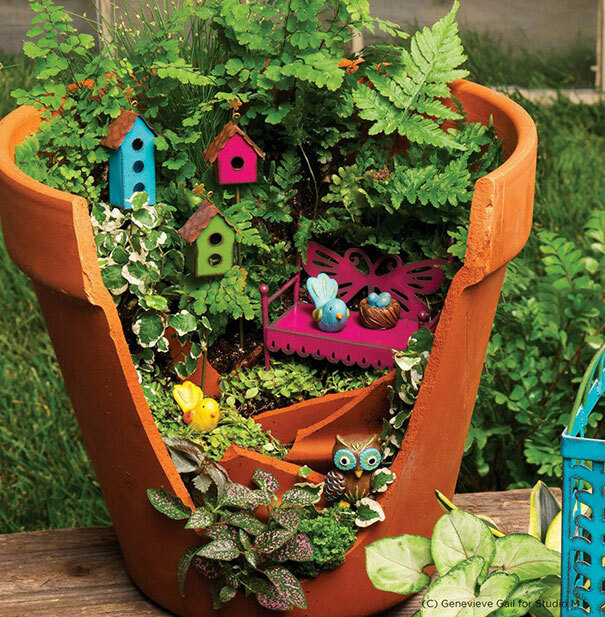 Basically it encourages you to create little scenarios and little items that will attract your focus between flowers. 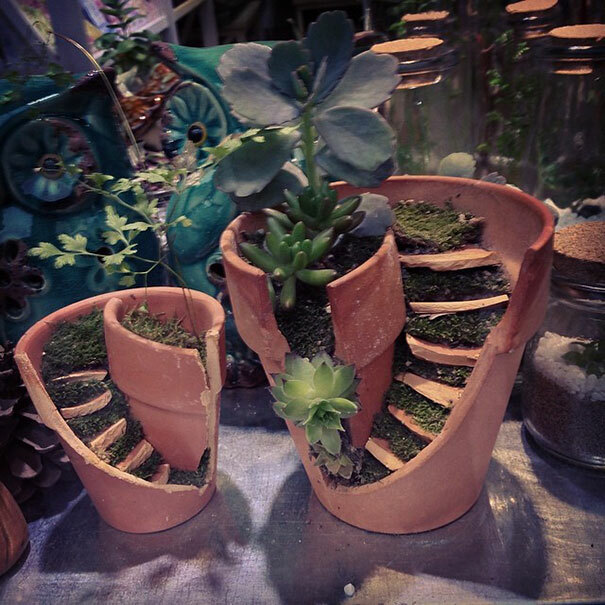 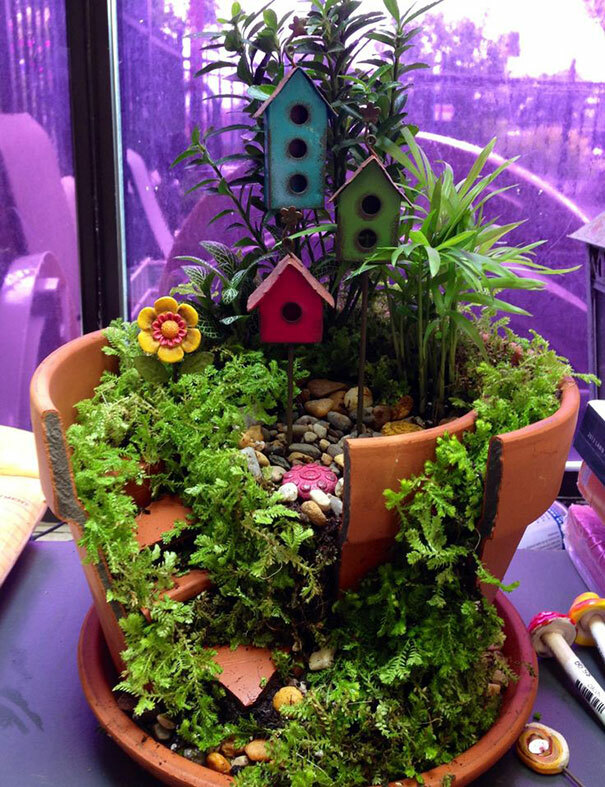 Today`s example will show you how creative individuals have been creating little fairy gardens from broken pots laying around unused. 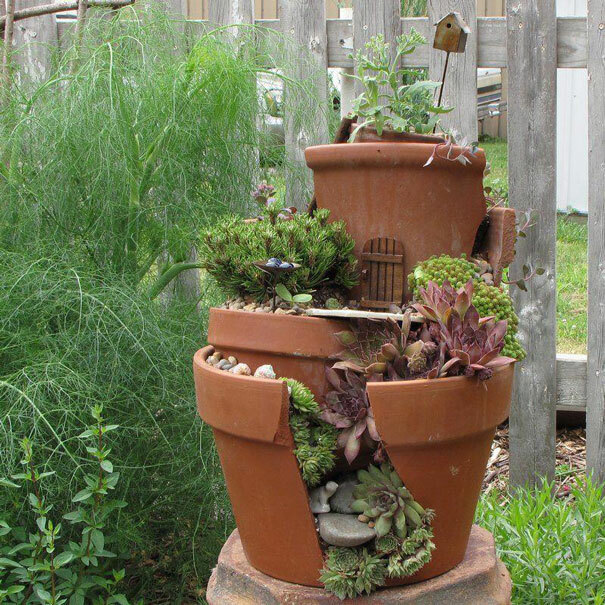 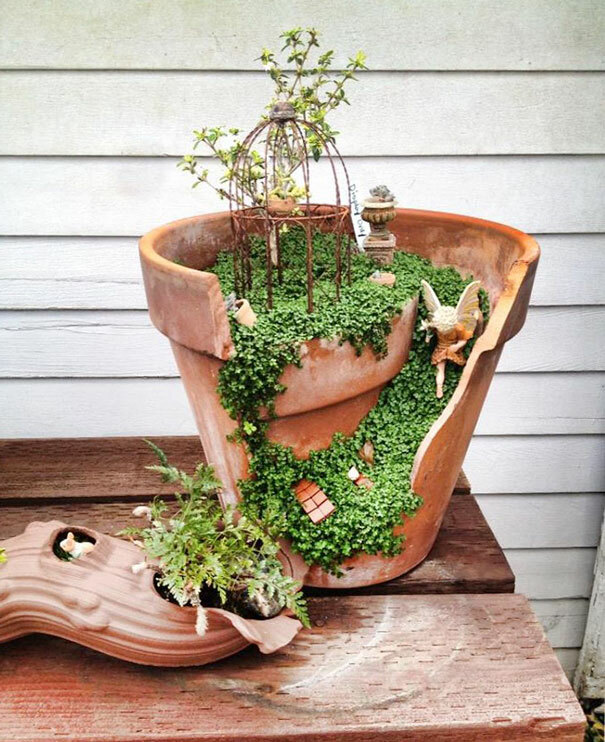 Whether you will carefully cut a broken pot or you’ve accidentally broke one, this is a highly creative method of enhancing your backyard landscaping design. 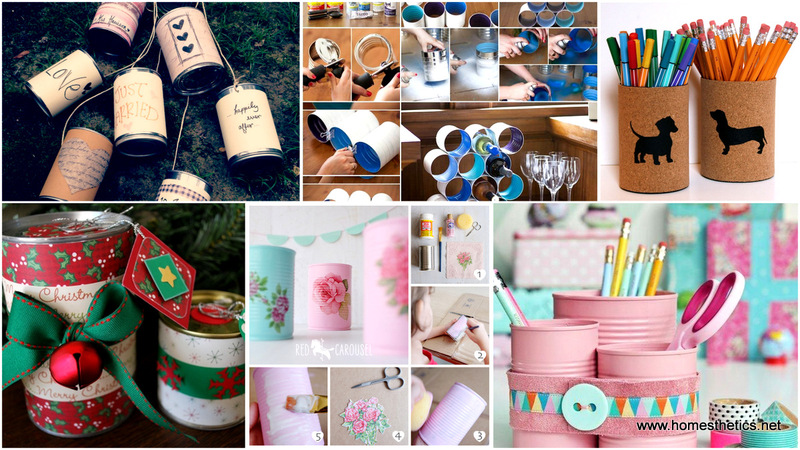 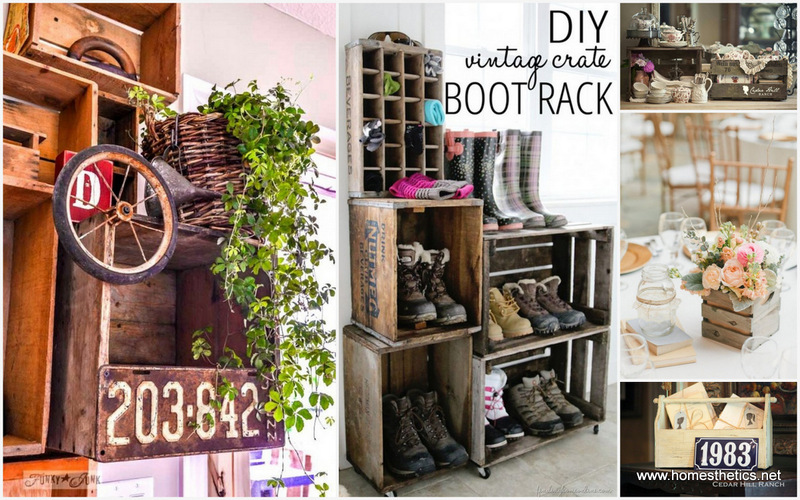 Consider it a creativity test, maybe even a project that you will do with your loved ones. 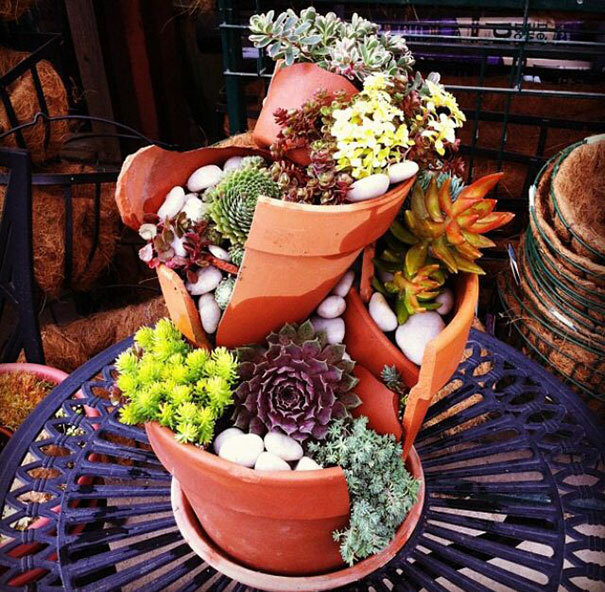 If you plan on cutting the pot, soak it before and use a craft drill to weaken the shape you desire, strategically. 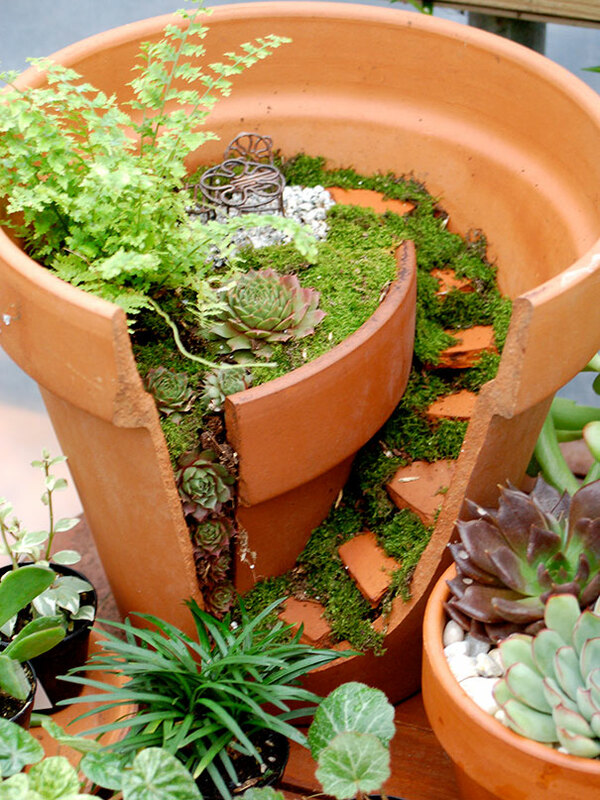 If you do these holes close enough you can simply broke the exact pieces that you need with a hammer. 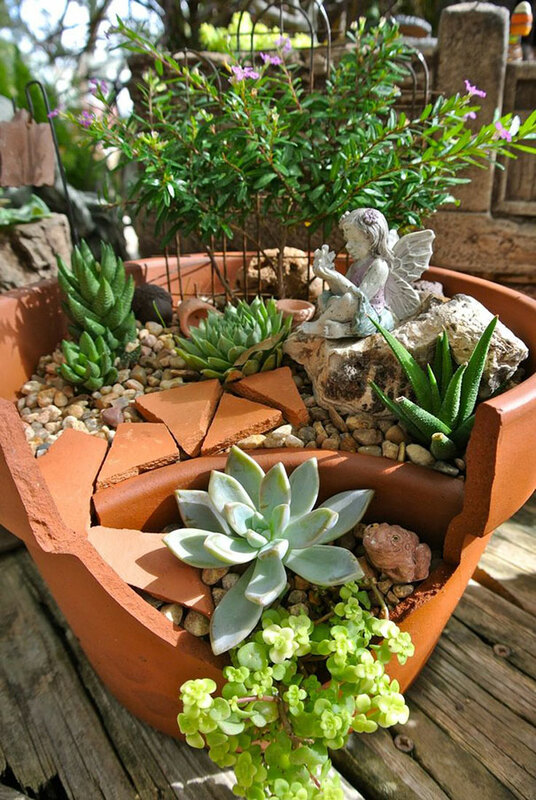 As always, pay attention to safety measures, wear safety goggles and an air filter mask. 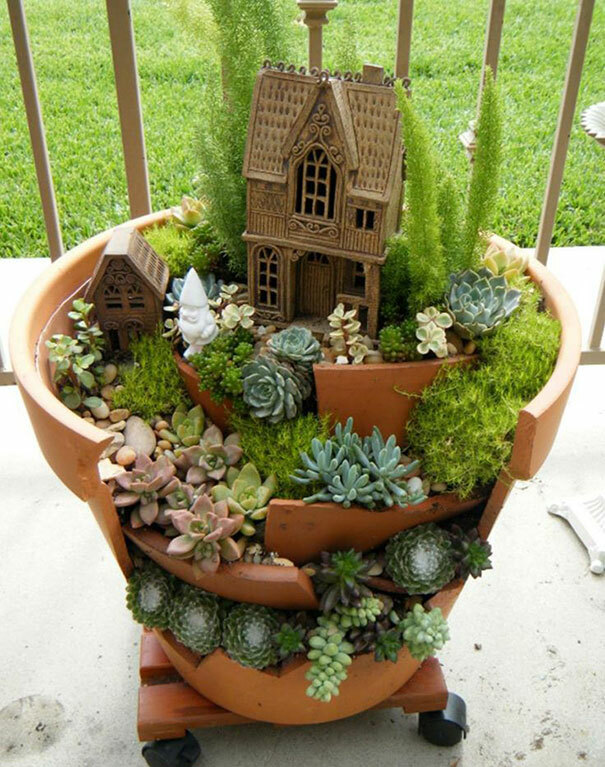 After you`ve got the shards and the main volume simply get creative, it is your turn to shine and create a little wonderland. 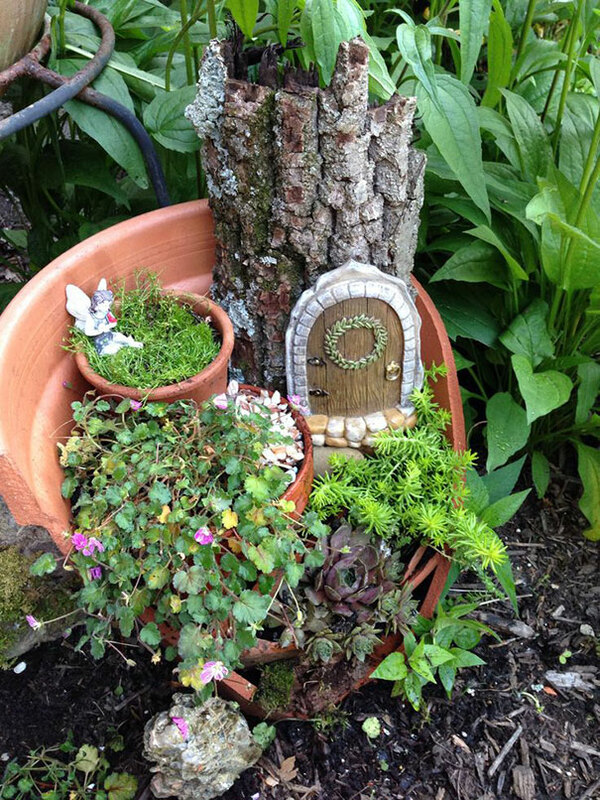 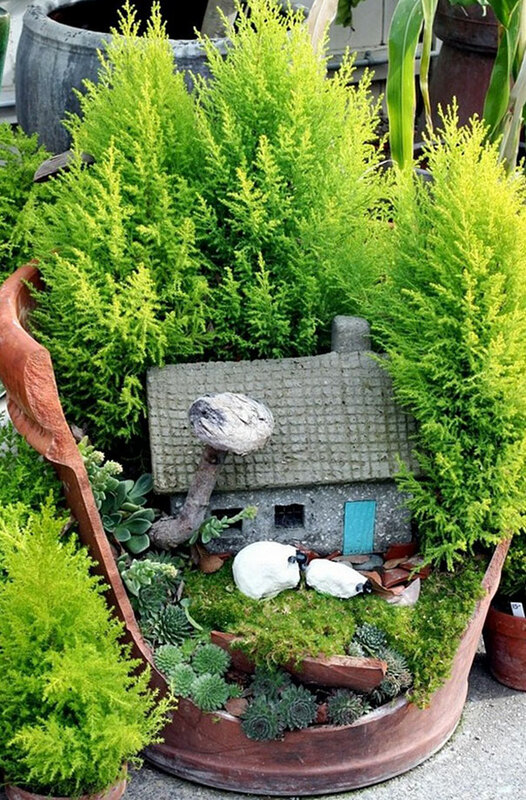 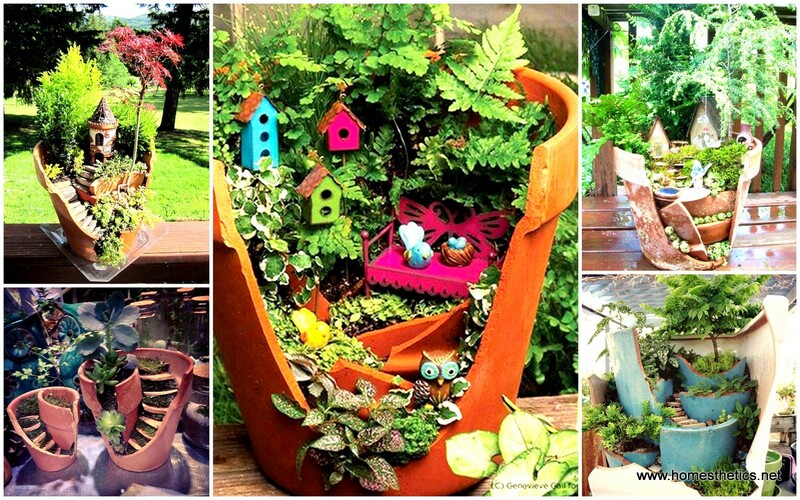 We would love to hear your opinion on these small DIY Fairy Gardens in the comment section below. 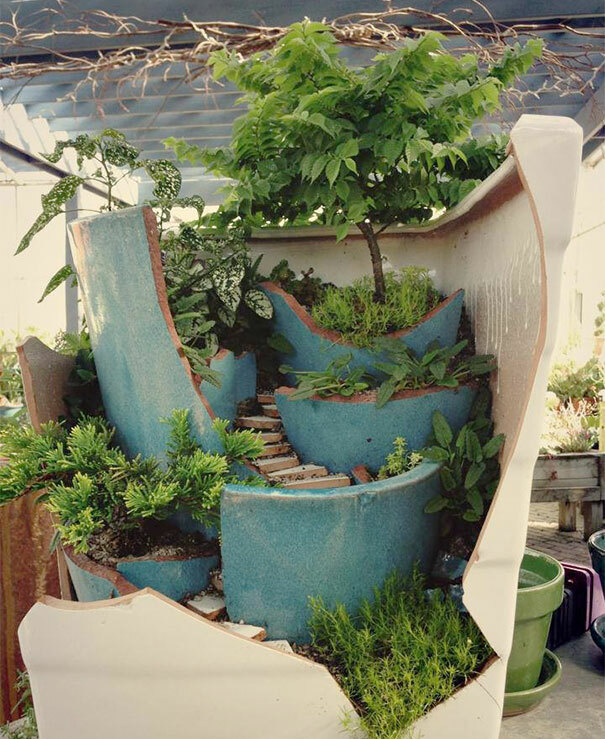 Also, we would love to hear from you if any of the art pieces above is your work, or if you would like to add your own work to our list. 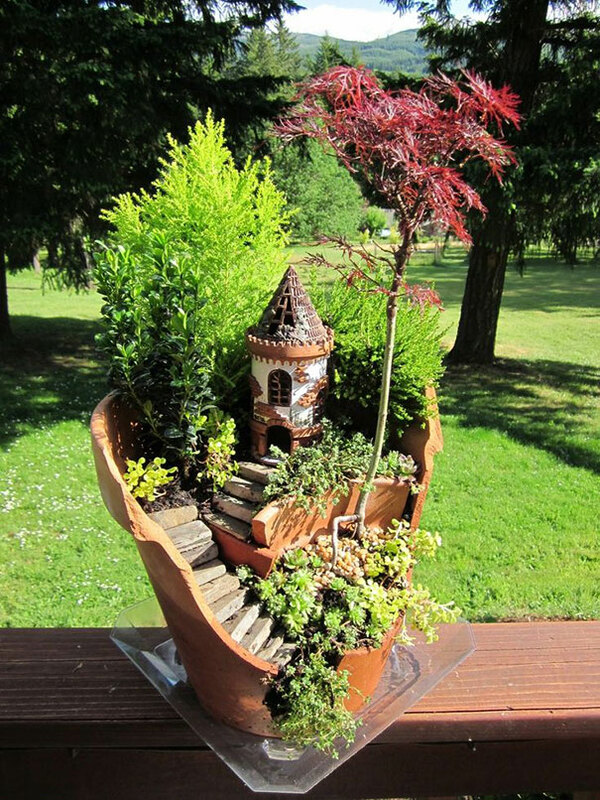 We always try track down authors but , sadly, is not always a successful search, quest.